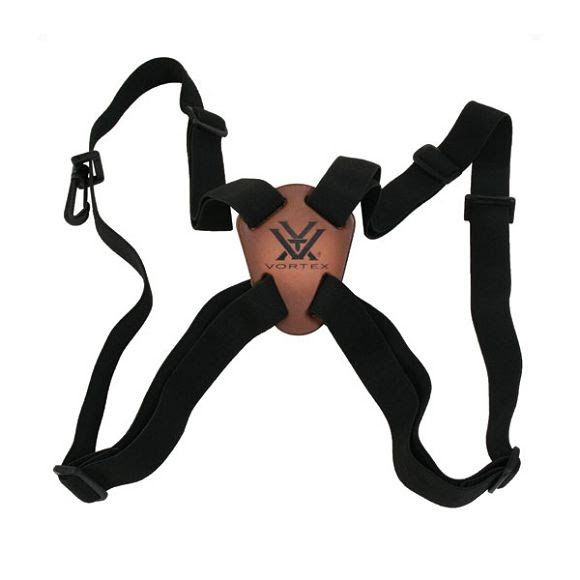 Here's the most comfortable way to carry your binoculars for hours...this binocular harness strap spreads the weight of your binoculars across your shoulders for more relaxed viewing. This ingenious strap keeps your binoculars and rangefinders, even cameras, from jostling around as you walk, freeing up the use of your hands. Also helps keep your binoculars close to your chest and out of the way. Here&apos;s the most comfortable way to carry your binoculars for hours...this binocular harness strap spreads the weight of your binoculars across your shoulders for more relaxed viewing. This ingenious strap keeps your binoculars and rangefinders, even cameras, from jostling around as you walk, freeing up the use of your hands. Also helps keep your binoculars close to your chest and out of the way.